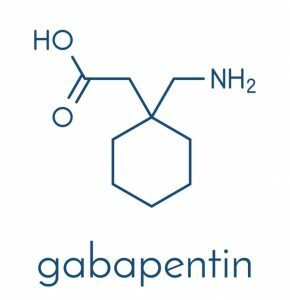 Gabapentin, also sold under the brand name of Neurontin, is a prescription drug used to treat epileptic seizures. It belongs to a class of drugs called anticonvulsants, agents that have anti-seizure properties. Gabapentin also relieves nerve pain caused by shingles (a painful skin rash). Its mechanism of action is still unknown. It seems as if gabapentin prevents the increase in sensitivity of pain and alters calcium levels in the body. The list of gabapentin side effects is long and includes a few serious and even life-threatening conditions. Some light side effects such as dizziness and drowsiness are likely to occur and require attention. However, serious side effects such as viral infections, panic attacks, violent behavior, and suicidal thoughts are considered an emergency and the doctor needs to know about them. This article will discuss the gabapentin effects and dangers in more detail. Alongside the positive effects, this chemical may also produce unwanted implications. Because the drug is used with other medication to treat seizures, the risk of gabapentin adverse effects increases. One needs to make sure he or she is following the medication guide each time a refill or intake is due. Dizziness & Drowsiness – The drug slows down one’s thinking and motor skills, thus causing dizziness and drowsiness. These side effects are likely to emerge in the initial stages of uptake and one should avoid driving and using heavy machinery until the symptoms have settled down. Unsteadiness and Lack of Coordination – Gabapentin may induce feelings of disorientation and/or almost feeling, causing the user to bump into objects. 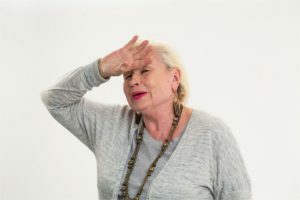 Memory Loss – Even on low doses, the chemical may affect one’s cognitive abilities, triggering memory loss and confusion. Difficulty Speaking – One may experience an increase in salivation which can affect his or her speech ability. Viral Infection – One of the most common adverse symptoms of the drug in pediatric patients from 3-12 years old. Tremors & Jerky Movements – Because the drug affects the brain and central nervous system, it may cause involuntary tics and tremors across the body. Double Vision & Unusual Eye Movements – Some users reported doubled or blurred vision, even at low doses. This can be particularly dangerous if the person is driving or operating heavy machinery. Fever – The drug may induce illness, especially in patients who are female and over the age of 62. Make sure your doctor or pharmacist knows about these gabapentin effects, especially if they persist for more than a week. If the side effects are a result of abuse, call one of our knowledgeable representatives at (888)-459-5511 to discuss treatment options for you or your loved one. No addiction is too big to treat. 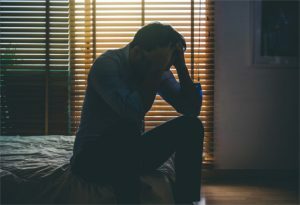 Changes in Mood or Anxiety – Gabapentin may induce unusual changes in one’s behavior and has an ability to worsen depression and anxiety of its users. Aggression, anxiety, depression, suicidal thoughts, panic attacks and restlessness have all been reported as long-term implications. Allergic Reactions – These can be severe and even fatal, including skin rashes, hives, swollen glands, lips, and tongue, unusual bruising and bleeding, and unexpected muscle pain. Also, a person’s pre-existing condition could exacerbate the symptoms. For example, people who have kidney problems will process the drug more slowly and are at an increased risk of dangerous levels in their body. On the other hand, people with epilepsy should never stop taking the drug suddenly. Doing so will put them at risk of having a condition called status epilepticus – a medical emergency wherein seizures occur for 30 minutes or more. It is imperative one informs their doctor about any conditions that may affect the drug’s functioning. If you or your loved one are trying to put gabapentin abuse to an end, why not call one of our experts at (888)-459-5511? It is always wise to seek professional help rather than going ‘cold turkey’ of your own accord. Gabapentin effects on pregnancy are still unknown but initial research suggests that it can cause harm to the animal fetus. There haven’t been enough studies conducted on humans yet and the issue is still very much a grey area. One needs to consult with their doctor if they’re pregnant or planning to become pregnant, as the drug can jeopardize the child’s health. Women should avoid taking the drug unless the potential benefit surpasses the potential risks to the fetus. Women who are breastfeeding should particularly steer clear of the drug as the chemical could penetrate into the breast milk and affect the child. Women in such situations should talk with their doctor and decide together whether they should stop taking the drug or stop breastfeeding. The scope of gabapentin adverse effects is enormous. Hence it is crucial that patients follow the right dosage guidelines and always keep their doctor updated. The drug also carries a high risk of abuse and overdose, which further boosts the risks outlined above. There are specific groups of people who should be extremely careful with medicating with gabapentin. These include seniors, children under the age of 18, pregnant women, and those with pre-existing medical conditions. If mild side effects persist for over a week, one should call their doctor to find the appropriate solution. Those with any of the severe, long-term related side effects should dial 911 immediately or ask their doctor for help. Does gabapentin cause excessive sweating if performing physical labor? I have been taking 300mg in doses of 900mg, 600mg and 900mg daily for control of periferal nerpphy for a bout seven years. It is only marginally effective, with occasional 2-3 day relief. Today 3-16-2019 and many other days really maddening. Short term memory is very poor, but I have had several TIA’s. Balance is also affected. I use no other pain treatment save a little Tylenol, no more than 100mg at a time and only two doses at any time for lower back and hip pain. Yes, I need to see my Nero more than once per year. It seems no one is working to find the cause and adequate treatment because the Gab does not. I tried one salve ant it’s terrible red pepper eye pain caused me to stop. Other salves just do not work for more than 30min. I really need serious help.